A fuller explanation about the body of consciousness known as Sounds From Source can be gained by reading the material from the home page. Here instead is a partial history and journey of the Sounds From Source programs written by Sheila. This post was written when we were still referring to Sounds From Source as 'The Healing Sounds' - which back then - was the only credible name we could come up with. I have often been asked over the years since 2004 “What are The Healing Sounds” and how and why do they work? 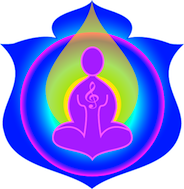 The Healing Sounds was our original name for the program which has grown and developed over the years to become Sounds from Source. My general answer is simply that The Healing Sounds are just that, Healing Sounds, or sounds which heal. It is my belief in my work as a natural therapist, / vibrational kinesiologist that all of the cells of our bodies retain memories, not just that vaguely described part of the brain which is designated as “memory” , and that these stored memories can play an enormous part in all of the levels of the physical mental emotional and spiritual areas and more of our daily lives, and also of the lives of those around us. I also believe that The Healing Sounds are hugely powerful and yet incredibly simple, in the way that they communicate or work with the cellular structure of the body to release these stored memories and issues. Many of these issues we may not even be aware that we had retained or held on to. This is the story of The Healing SoundsSome years ago I realised that a large percentage of my clients had or suffered from what I anxiety from conception. So what is anxiety from Conception, I believe that at their conception their parent, Mum and Dad were worried about them and that put everything in their body under pressure, like being in a vice. And that because of the pressure caused by this anxiety every cell, fibre, nerve, muscle and organ had to working overtime”. Then over a period of time, I realised that I could ask the body to remove this pressure and the anxiety, by communicating with the cells. Now you might ask, how does one communicate with what is basically a microscopic cell? By using my favourite set of Tibetan bells known as tingsha bells and a specific series of words, which I spoke in my mind as I rang the bells “the levels of anxiety in my patients dropped dramatically, appearing to release these levels of anxiety which had been in the body from conception from my clients. These “anxiety” sounds as I called them had a profound effect, with many people reporting immediate results and others within just a few minutes commenting on the differences in how they felt, I feel “lighter, I can breathe easier, I haven’t got that feeling of a weight on my chest or my shoulders any more “ etc. This process became my “Anxiety technique” and I used it with almost every client, it has since become a major factor in The Healing Sounds vibrational programs which we use in the Sounds from Source practitioner programs. I then out of curiosity questioned myself “what else does the cell remember” and using basic kinesiology muscle testing ascertained that the cell indeed remembers absolutely everything!!!!!!!!!!!!!!!! Could I then, I queried remove those memories which were not of any further use, or even having a detrimental ,affect on the body “Oh yes, I could indeed ” and so by asking some more questions and by incorporating my “anxiety technique with some other sounds and words, I tried removing my allergies to many foods. Suddenly my body was prepared to tolerate foods I could not eat before . Especially important to me was the fact that I was able to remove my own intolerance to a substance called tyramine, as well as to many other allergens. Tyramine is in tea, coffee, chocolate, red meat, red wine, strawberries, vegemite, orange pith soy sauce and broad beans. All of a sudden I could now eat “Chocolate” without the consequences of having Alzheimer’s as a bleak aspect of the future, if I had continued to indulge on occasion my “chocoholic” tendencies. From those first initial sounds to remove what I termed Genetic Memory, The Healing Sounds have grown and flourished, with more and more amazing sets of sounds being created on a regular basis. I trialed them on my clients and on my long suffering friends, [nothing quite like asking a friend to be a guinea pig] and the results were amazing, long standing issues were released easily and effortlessly, and the feed back was enormous. Many requests came in for specific sounds, “can you do something for this or that etc, and what about this or that issue. My friend and colleague Susan Ormsby was invaluable in all of this, she kept me focused, she challenged me, she was and still is my sounding board and my best “tester and critic”, and it is thanks to Susan and her hard work and her determination that “this must be accessible to other people “that the original ‘The Healing Sounds’ program was conceived. Susan and I asked many questions, we were open to for the want of a better word Divine guidance, and we came to understand the power of words, and how they relate to our daily lives, and also to realise how often we use “pretty sounding” affirmations and statements and wonder why they do not work. A good deal of the original impetus of The Healing Sounds relates back to my conferring with Susan on her web site, Trim and Slim Secrets, In one of our many and lengthy discussions Susan spoke to me about why some people “lose” weight more easily than others, and we brainstormed a way to communicate with the cells, and the actual “value” of the words we were using in such cellular communication. A short course entitled “Write Your Own Affirmations” which later became The Power of Words ensued from that discussion, and it includes a dictionary of often used words and their values. Both Susan and I believe that it is important that it be included in The Sounds from Source programs, as often the words we use both as practitioners and as parents, friends etc are often not recognised by the brain, or may have a negative connotation. Susan has been the driving force behind The Healing Sounds and Sounds from Source, often it was our own personal issues that we brainstormed and then asked to be given the right sounds to be able to deal with those issues. Many times it was our own need for an answer that led to the creation of the next set of sounds. We were always guided, Having been a “channel” from a young age, I have been fortunate enough to have had my own personal guidance through much of my life, and as is often the case I just accepted the fact that it was there, Susan, coming from a different perspective would query how or why I knew, and could we ask questions of this divine guidance. And so as Susan and I grew together, so did the programs and the source of the Healing Sounds as we describe it continued to support us with information and the profound knowledge that this incredible gift must be shared with the world. So thank you, for being willing to “step outside the square”, for having an open and enquiring mind, and may Sounds from Source through The Healing Sounds support you in your search for truth and a better way, just as it has us.